UFC 222 is stacked with great ladies fights tonight! 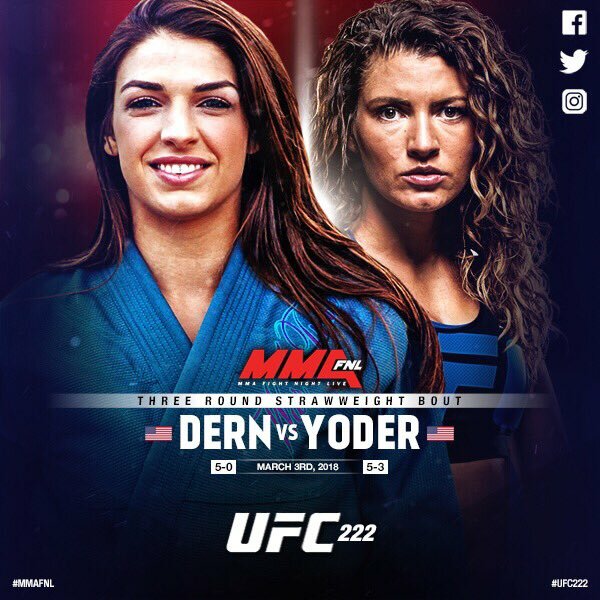 First up, Ashley "Spider Monkey" Yoder (5-3) welcomes BJJ ace Mackenzie Dern (5-0) to the Octagon in the headlining spot of the Fox Sports 1 preliminaries starting at 8 PM ET. 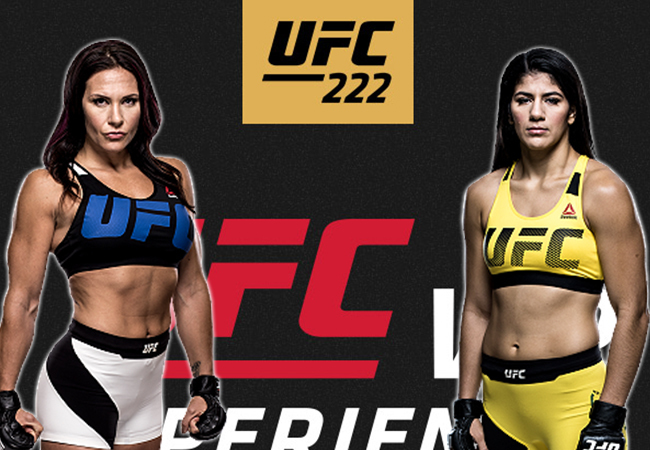 Following this fight "Alpha" Cat Zingano (9-2) and Ketlen "Fenomeno" Vieira (9-0) will kick off the PPV main card starting at 10 PM ET. 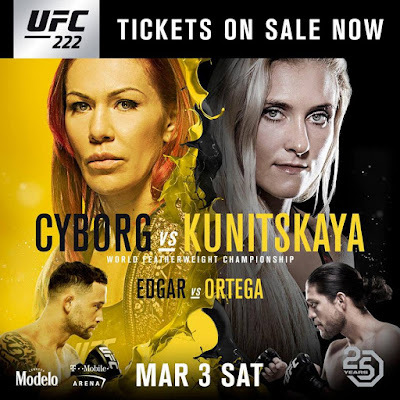 Finally, in the main event of the evening Cris Cyborg (19-1, 1 NC) will defend the UFC women's bantamweight title against Yana Kunitskaya (10-3, 1 NC). Good luck ladies. Watch all the action live from the T-Mobile Arena in Paradise, Nevada or tune into UFC Fight Pass, Fox Sports 1 and finally on PPV. Photos courtesy of the UFC and MMA FNL.